Since I only shampoo my hair every other day or every two days, I don’t have to buy shampoo very often. I’ve tried every shampoo brand available, or at least it seems like it. My hair tends to be dry and has gotten even drier since living in the extremely hot and humid area of South Florida. I don’t usually think too much about the shampoo I use and instead pay more attention to the conditioner. But no matter how much conditioner I use, my hair seems to just hang around my face. My waves look drab and heavy. I took a look at my conditioner and then took a look at my shampoo. Did I have it wrong all this time? Maybe I should’ve been paying more attention to the shampoo I’ve been using. I wanted to try a new shampoo. The ones I’ve used in the past have been unremarkable. A few of them seemed to make my hair too clean, and my hair ended up looking flat. Others smelled great, but made my hair feel stiff. I’m tired of my boring, lifeless hair. She said she swore by this product and couldn’t live without it. I looked at her wheat-colored hair and it looked like something out of a fashion magazine. Had she gone to a stylist for a professional blowout or was this picture of perfection the result of the Damage Control Shampoo? She didn’t need to say another word. I grabbed a bottle and went home. Shampoo ingredients include Sativa (Alfalfa) Lea Powder, Linum Usitatissimum (Linseed) Seed Extract, Hippophae Rhamnoides Oil, Fusanus Spicatus Wood Oil, Olea Europaea (Olive) Fruit Oil, Hordeum Distichon (Barley) Extract, Sodium Methyl Cocoyl Taurate, and Basbassuamidopropyl Betaine. It’s a mouthful, but whatever these ingredients do, they come together to create a spicy and sweet aroma that is prevalent in all Aveda products. The label says the shampoo “gently cleanses as it moisturizes and helps repair dry, damaged and chemically-treated hair with a conditioning plant-based blend, leaving it smooth, soft and shiny.” Sounds promising. I put a nickel-sized amount in my hand and applied it to my hair. I don’t know what I was expecting, but I was hoping for something spectacular — a little tingling, a little whisper of luxury that would entangle around my strands. There was nothing. I finished washing my hair and wrapped a towel around it. Had I just wasted my money? I took the towel off and went to the sofa to read a book for a few hours. I got up to brush my teeth and noticed my hair had dried. I also noticed it looked a little different. I touched it and was welcomed with soft waves. Could I truly be experiencing these results after only one use or was I imagining everything? Having used this shampoo half a dozen times already, I’m still getting the same results — bouncy, soft hair. The results are subtle, but noticeable. I’m not crazy about the $24 price tag for an 8.5 fl. oz. bottle, but since I don’t shampoo every day, the bottle will go a long ways. 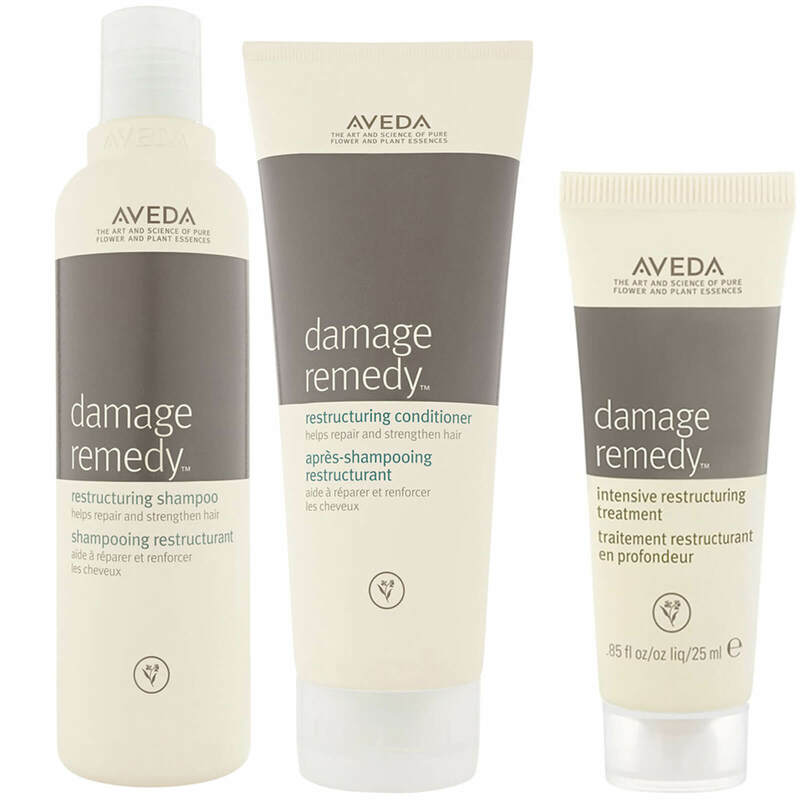 If you tried every shampoo to hydrate your dry hair, give Aveda’s Damage Control Shampoo a try. Your hair will look healthier.